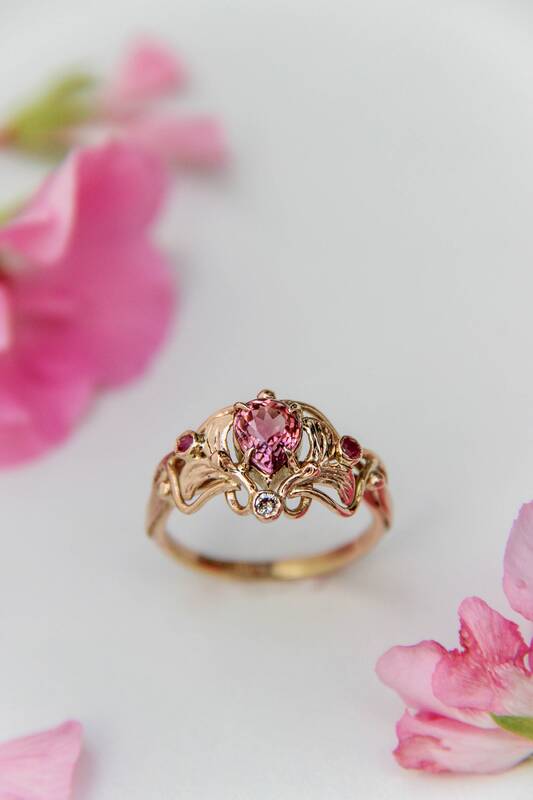 This beautiful vintage inspired art nouveau engagement ring looks really adorable, delicate and charming. 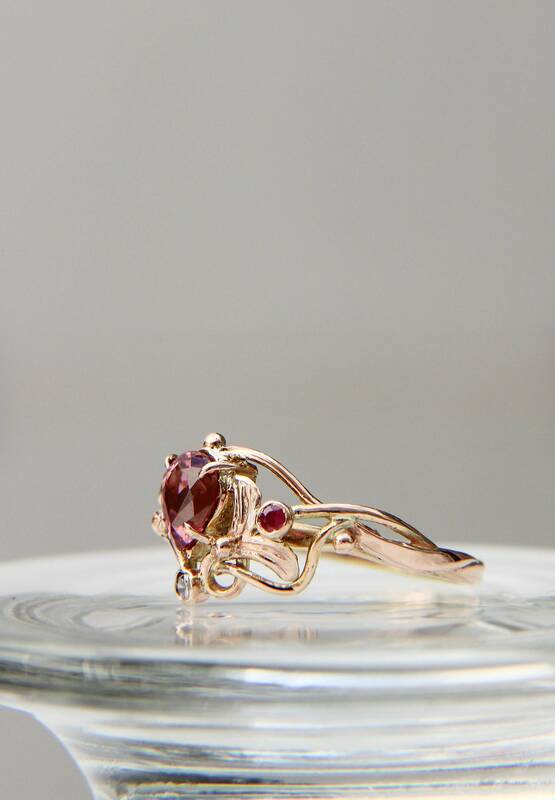 One of a kind romantic rose gold ring features timeless design with flowing lines and art nouveau / art deco style leaves. 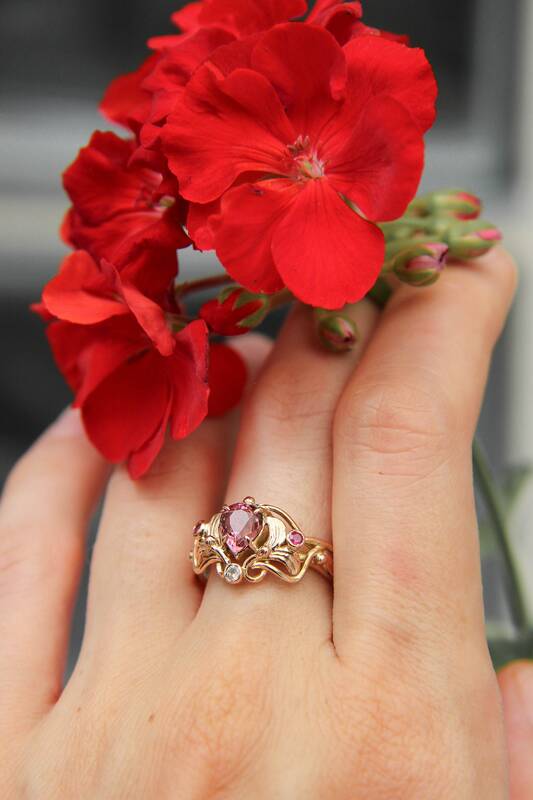 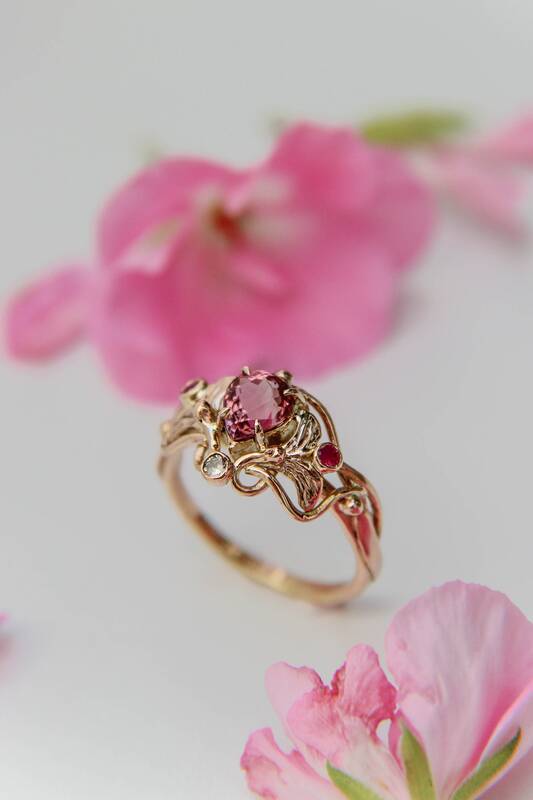 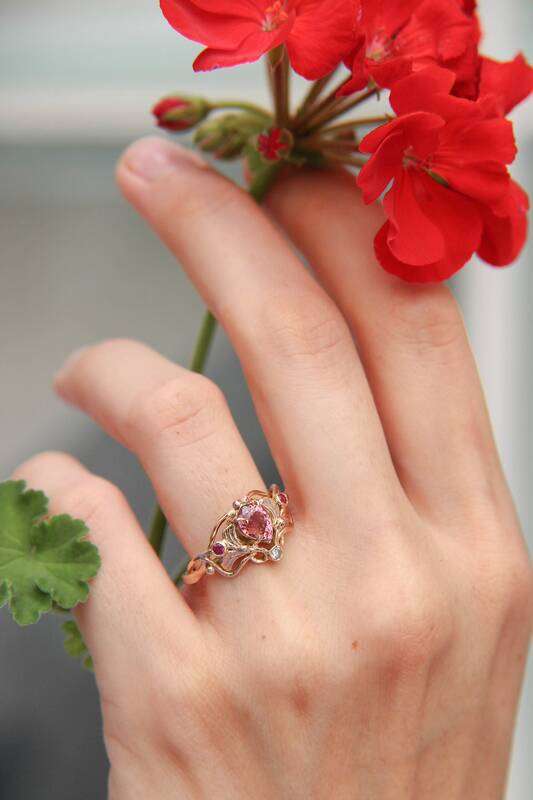 It is hand-sculpted from solid 14K gold and adorned with natural gemstones: pear cut pink tourmaline, small rubies and sparkling round cut diamond. 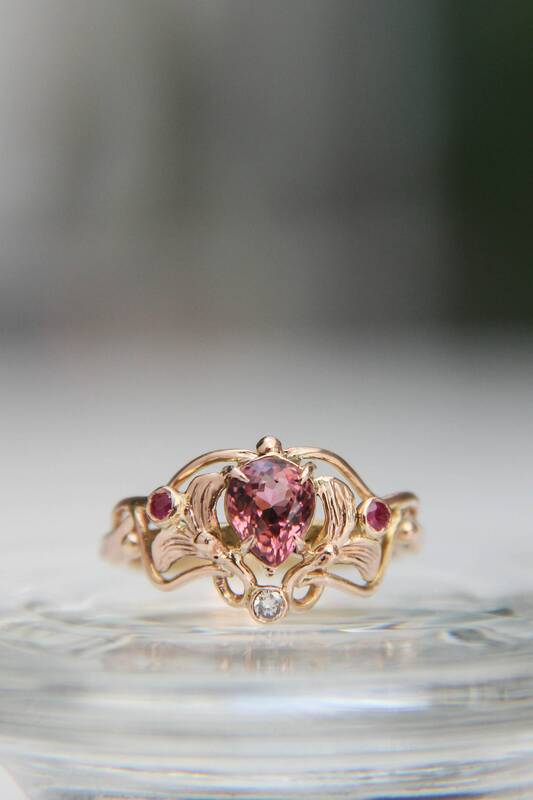 The style of this unique engagement ring reminds antique jewelry, but was designed by me, it's not a copy of existing jewelry. 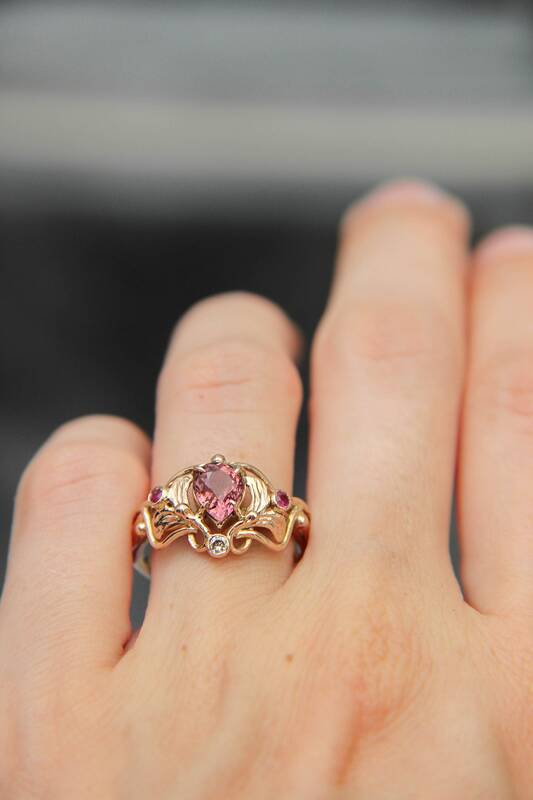 It is made using old traditional techniques and you won't find something like that made from cast. 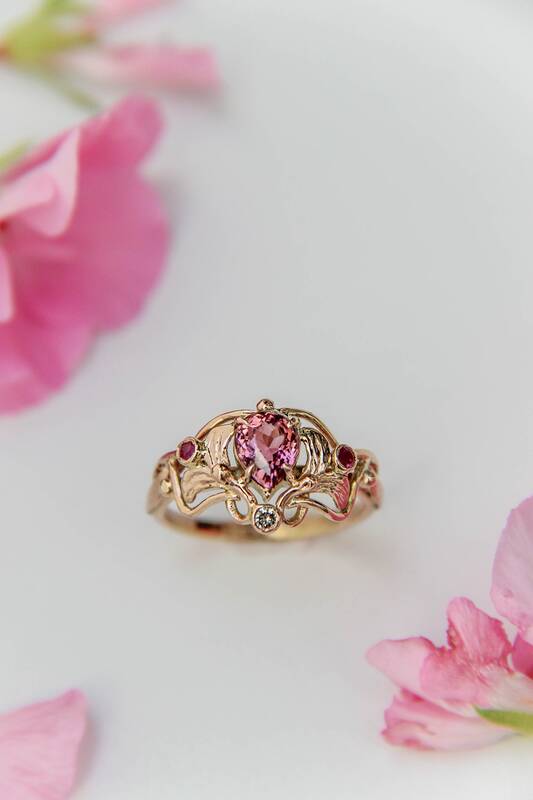 Every stage of creating this proposal ring was made entirely by hands and with high quality level. 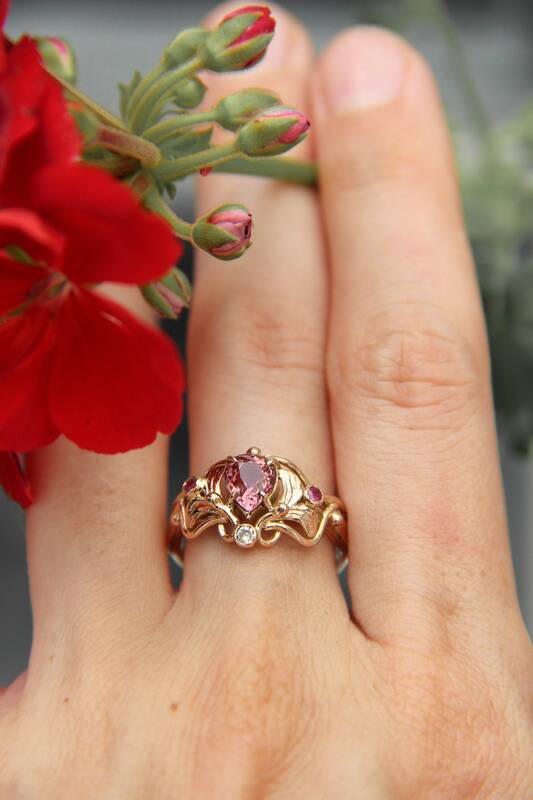 We use only solid gold, no gold plating or cheap alloys. 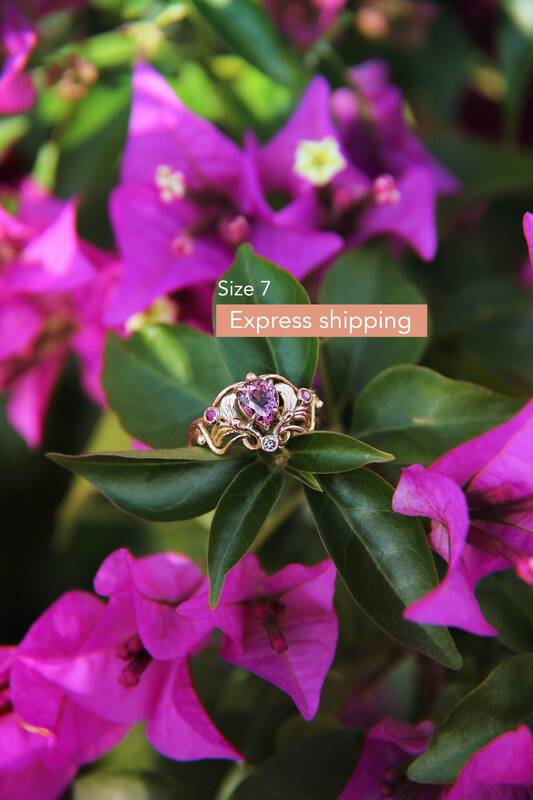 Custom rings could be made from yellow, rose or white gold.